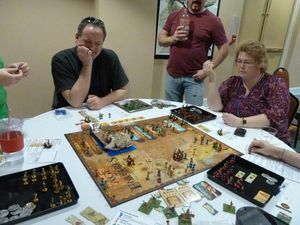 Tennessee Game Days VII was a 3 day weekend of open board gaming, events, prizes and fun. 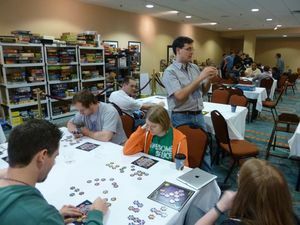 There was a healthy library of over 200 titles, based off the BGG top 100 plus games that have been played in recent years and any requested titles. Besides the library, gamers also brought their own favorites. TGD was also a great venue to bring your own pimped out games to show off your modding skills. In fact, this year was even bigger and better in that respect. There were LEGO versions of games, hand crafted models, painted zombies and more. 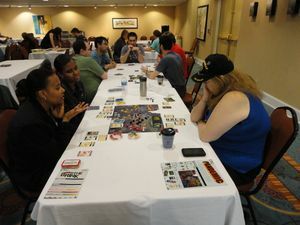 There was a game store (Roll the Dice) with a table on-site offering a variety of games (pre-order next year if you have something specific in mind). There was the traditional Crokinole tournament, and plenty of space to spread out and try something new. Aside from all that, TGD has steadily also become an event to renew old friendships and start new ones. 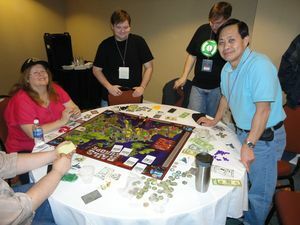 Board gaming is well known as a social hobby. 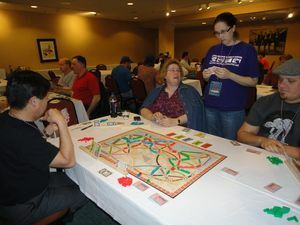 Because so many attendees return time after time from various parts of the country, TGD is a great venue to chat about events of the past year over a casual board game. 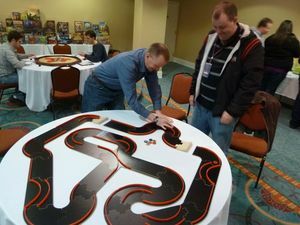 For new attendees, TGD has a welcoming atmosphere with many scheduled events you can join like our longstanding Wits & Wagers game show and Take It Easy competition. 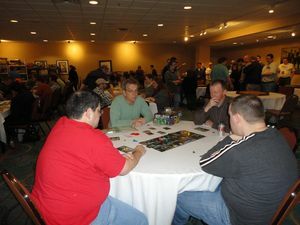 It is always easy to find players and teachers, especially with the always popular TGD signature event: the Tour of Gaming Destinations. This is a roster of a few similarly themed titles led by a tour guide who is an experienced teacher. You play through these games with the same group of tourists, so it's great for groups looking to answer the question of "what next?" and for singletons looking for an easy group to join. Come on out and join us in 2013 at our new venue: the Cool Springs Marriott in Franklin, TN. We'll have the same great event but in a larger, more luxurious space. All we are missing is you! Register today for TGD VIII, March 8-10, 2013. 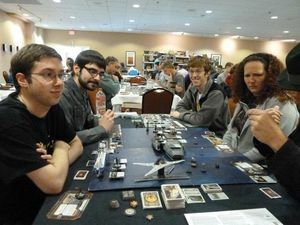 Copyright © 2007-2012 Tennessee Game Days.